Each home building project demands components which are complementary to the home’s design and style. 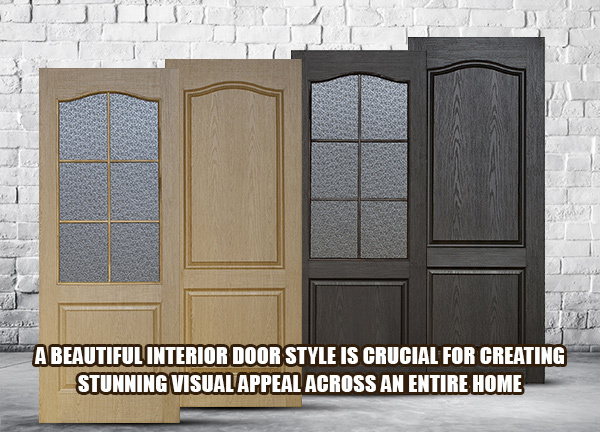 A beautiful interior door style is crucial for creating stunning visual appeal across an entire home. With both visual and functional purpose, interior door style is as interconnected to a home’s allure as the colors on its walls. The following list will profile 4 of the door styles offered at ASA Builder’s Supply to assist you in exploring options available for your build or renovation. Perfect for meticulous jobs, custom MDF doors allow you to alter the door’s design and create the best look for your build. Created with medium density fiberboard, custom MDF doors are preferred by builders for their design and cost. When privacy is no longer the main purpose of a door, it is easy to get creative with materials and enhance your build’s visual appeal with glass doors. Available in a variety of transparent and semi-transparent designs, glass doors offer greater visibility and dispersion of light within a home. Wood is a great material for reducing noise and managing climate within a home. Hundreds of wood species and possible designs create plenty of opportunity to get creative in finding doors for your build. Developed for specific purposes, commercial doors are available to serve as more than just access points. The most common special application for commercial doors are Fire-Resistant doors. To increase security, you may consider using commercial doors. To learn more about the styles mentioned above, as well as other options available, please visit our website or contact one of our team members.